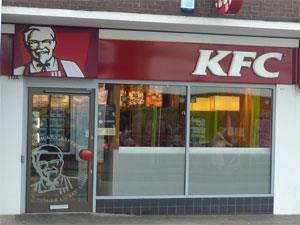 KFC in Gorleston near Great Yarmouth, welcomes you and invites you to try some of Colonel Sander's famous fast food. If you love chicken, KFC is the place to go, with modern healthy chicken options, it's 'finger lickin good'. From Great Yarmouth follow signs for Gorleston-on-Sea. KFC is located towards the end of the main High Street, just prior to the traffic lights/crossroads.